Growing in rock crevices, henbane (shikrona) can be found on the ancient city walls of Jerusalem as well as in arid areas like the Judean wilderness and the Sinai desert. This perennial herb grows from 12 to 20 inches (30-50 cm) in height. Some varieties are poisonous, but henbane is medicinal as well. Yellow flowers are contrasted with deep purple spots. The flowers, which appear in groups, are prickly. The leaves are covered in hairs. 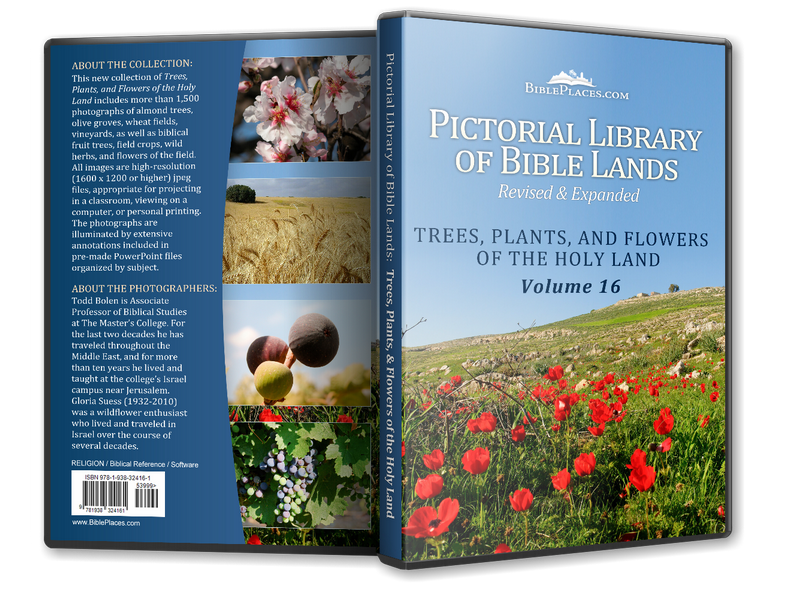 The name of the herb is used as a place name in Joshua 15:11, and it is also mentioned by Josephus (Ant 3.7.6). 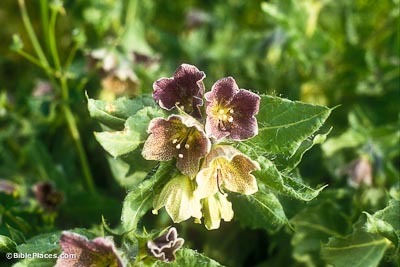 A relative of the nightshade, the stemless mandrake has purple flowers growing from the center of the plant. The flowers are covered in hairs. The large wrinkled leaves of the plant grow in a rose formation and are dark green. Its foot-long leaves do not compare to its large 3-foot (1-m) long root. This perennial herb blooms in the winter. Long believed to make the barren fertile, and even called the love apple, it is no surprise that the two biblical mentions of the mandrake are found in the story of Rachel and Leah (Gen. 30) and in Song of Solomon (7:13). Recent studies have found that this narcotic indeed contains aphrodisiacs and drugs to help fertility, but its sedative content is far greater and counteracts those effects. Henna (kopher), although displayed with poetic device in Song of Solomon 1:14 as growing in a vineyard, was usually grown amidst other plants in a garden. This useful plant was cultivated in ancient times. Its crushed leaves mixed with water make a dye. This can be used on clothing and in many cultures is used cosmetically on the body, nails, and hair. Henna’s fragrant flowers make it an ideal ingredient in perfume. The blooms, which appear in spring, grow in clusters of white. This shrub is similar to a tree growing 13 feet (4 m) in height with many branches. The sphere-shaped fruit, which contains many seeds, open when fully ripe. 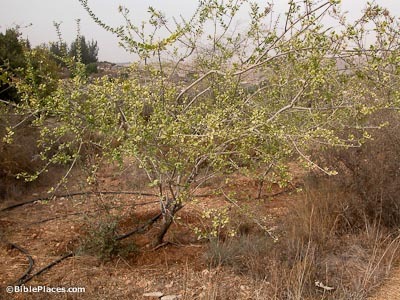 This tree can no longer be found in En-Gedi where Song of Solomon speaks of it growing (1:14). Cultivated for its useful root from which a red die can be made, this perennial is used for staining clothes and leather. 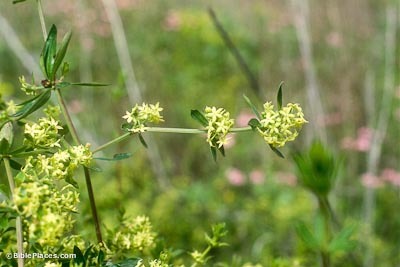 According to Pliny’s Natural History, this plant was also known to cure jaundice. 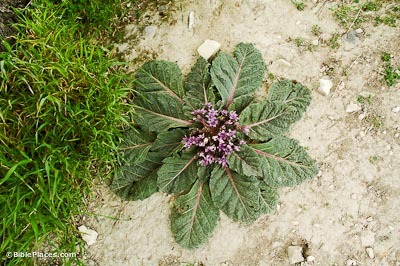 Its leaves form a whorl pattern around its long stems. In the right seasons, clusters of tiny yellow-green flowers or red berries can be observed on the plant. Puah, a biblical name, is the Hebrew word for the dyer’s madder (Gen 46:13; Judg 10:1; 1 Chr 7:1). Predominately found in the Mediterranean area, this plant can grow to 30 inches (70 cm). 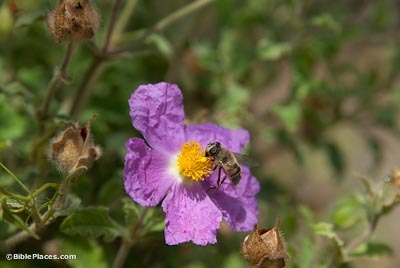 Rockrose has hairy leaves, and large, pink flowers that appear in the spring. Ladanum is a substance collected from the leaves and branches of this plant is a bitter, sticky juice. It can be harvested by scraping a tool across it or by boiling the branches. When sold as a medicine, it is dark brown and gummy. This product acts as a stimulant and is helpful for stomach illnesses and congestion problems as it drains mucus from the lungs. With its distinct aroma, its main use today is in perfume and incense. The Hebrew word lot, often translated “myrrh,” more likely refers to “ladanum” (Gen 37:25; 43:11).